Pop-Up Opera is bringing its unique brand of opera to the UK this summer with a tour of their double bill of Mozart works, Der Schauspieldirektor and Bastien und Bastienne. As the company makes their way across the country, founder and director Clementine Lovell shares the company’s approach to making opera accessible in this guest blog. When people ask about what we do, their response is often, ‘Sounds interesting, but opera’s not really my thing’. Then we tell them they can see opera in an underground tunnel shaft, amongst old steam machines, in a barn with glass of cider in hand – and they are more willing to give it a go. Once there, their perception begins to shift as the opera unfolds. 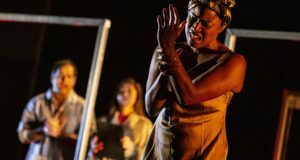 There’s an outdated stereotype of opera being overblown, unreachable, incomprehensible – a fat lady warbling on the radio, overly dramatic diva posturing, and a sense that opera is only for certain people, of certain means. Often, it’s the attitudes around opera that perpetuate these stereotypes: the formality of the venues, the price of the tickets, the fear of doing something with it that might somehow be detrimental to its preservation. In fact, at its core opera lays bare and skewers emotions to which we can all relate: anger, jealousy, love, joy, grief, passion, doubt. It is an art form that’s simultaneously incredibly refined and completely raw. A performer masters techniques that allow them to penetrate to the very essence of feeling and express that through sound. This can be very exciting and very moving. When we create a production, our main focus is on telling the story in a way that treats the characters as real human beings. In order to care what happens, the audiences need to care about the characters, and in order to do this, the interaction between the performers and their ability to draw us in is absolutely key. We work with a movement director to really develop the physicality of the piece, and we don’t need a fancy set or period costumes to make opera enjoyable or relevant. When creating a production, we build it in the rehearsal room so that it can be flexible and adapt. It’s usually a collaborative process that gives the performers ownership over the staging and the confidence to embrace the very different spaces in which they’ll perform. The production then tours to between 20-40 different venues around the UK over the course of our season. Since the performers won’t have been in the space before, we’ll arrive a few hours before to set up and walk through, working out the entrances and exits and how best to fully use what that particular venue offers – it becomes our set. The size of the “stage” area, the layout and the acoustics can vary hugely. We’ll be in a dilapidated chapel one day, and a castle the next. 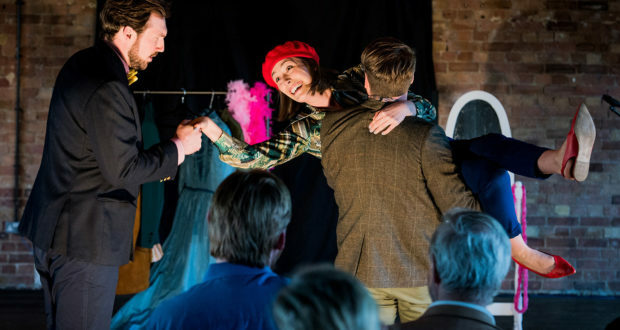 The audience in a basement warehouse in East London tend to be different to those in a village hall in Dorset, and it’s constantly fascinating and uplifting to see what elements they will most enjoy and respond to. The operas are sung unamplified, with live piano accompaniment and in the original language. In the intimate atmosphere, the performers can be in amongst the audience, using the whole space and breaking down the wall between them. Instead of running surtitles, we project silent movie-style captions in English. These keep the audience abreast of the plot without keeping them glued to a screen. The captions can add layers of humour, context and commentary, and we can even personalise them for different venues. The idea is that the audience could follow the story without needing the captions. It’s the combination of the captions with the music, character interactions, actors’ expressions, humour and intensity of emotion that get the story across. 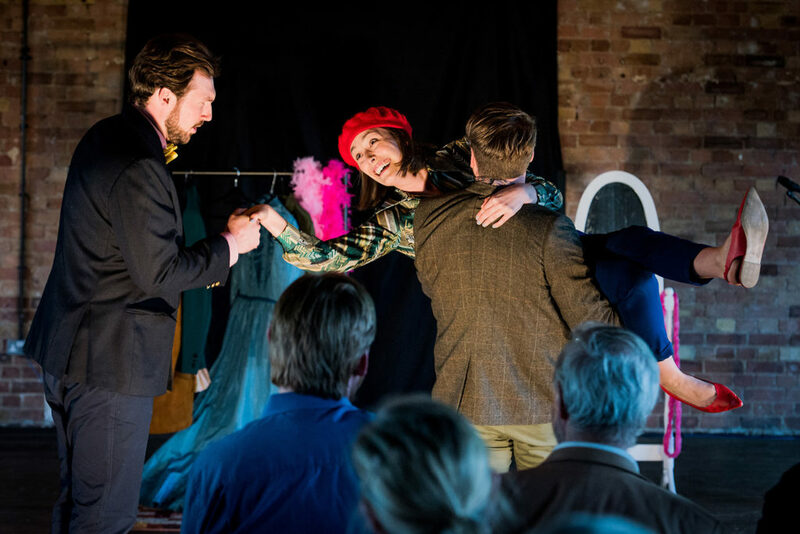 Pop-Up Opera’s Mozart Double Bill is currently touring around the UK through 29 July. London audiences can catch the company on tour at the Brunel Museum from 12-13 June and at The Vaults on 9 July.